She is the daughter of Indian billionaire, Mukesh Dhirubhai Ambani. Isha Mukesh Ambani, popularly known as Isha Ambani is an Indian businesswoman. She is the daughter of one of the popular billionaire of India, Mukesh Dhirubhai Ambani, and Nita Ambani. Born with a silver spoon in her mouth, she also followed the footsteps of her father. She is one of the boards of directors at Reliance Jio and Reliance Retail. Forbes listed her as the 2nd Youngest Billionaire Heiress in 2008. In 2015, she was named one of the powerful upcoming businesswoman in Asia. The Anand-Isha couple has hyped the media as their wedding is just a couple of days away and their pre-wedding party welcomed some of the popular persons from the world. Hilary Clinton, Arianna Huffington, and Beyonce are some of them. Their wedding is going to be marked as one of the biggest events in India. The big day is set to be flooded with popular business personnel and celebrities. She is the daughter of Indian billionaire businessman, Mukesh Dhirubhai Ambani. Isha Ambani was born as Isha Mukesh Ambani to Mukesh Dhirubhai Ambani and Nita Ambani. She was born on 23 October 1991, in Maharashtra, India. She holds Indian Nationality. She has a twin brother, Akash Ambani, and a brother, Anant Ambani. She follows Hinduism. She received an undergraduate degree in Psychology and South Asian studies from Yale Univerisity, Connecticut, United States. 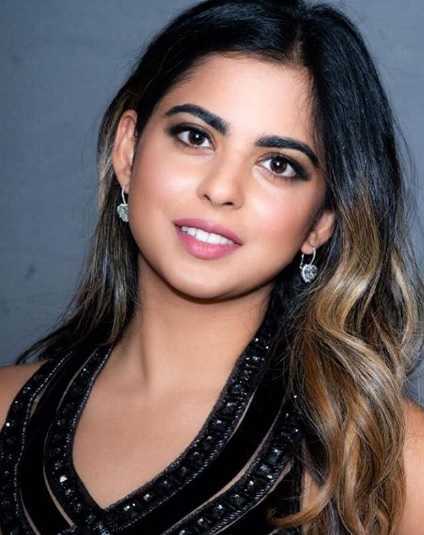 In 2014, Isha Ambani entered into the business world after she started working as a business analyst with the management consulting firm, McKinsey & Company. She was then introduced into the board of directors of Reliance Jio and Reliance Retail, companies her father owned. In December 2015, she led the team that launched Jio's 4G services. Popular Indian actor, Shah Rukh Khan was appointed the brand ambassador. In April 2016, she launched an online fashion retailer, AJIO, at the 2016 Lakme Fashion Week. AJIO is a subsidiary of Reliance Retail and she administers the branding and management departments. 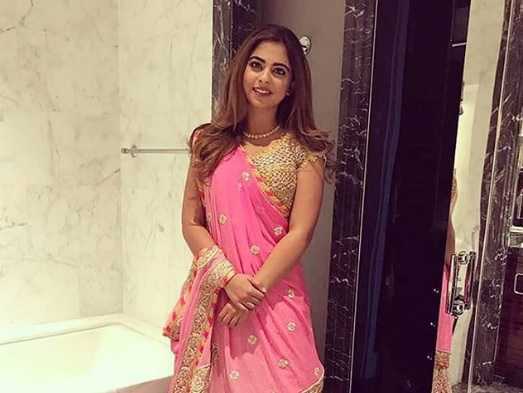 Isha Ambani is engaged to Anand Piramal. He is also the son of billionaire industrialist, Ajay Piramal. The couple is scheduled to marry on 12 December 2018. In 2008, Forbes ranked Isha Ambani the 2nd Youngest Billionaire Heiress, as her net worth was estimated at US$ 660 million. As of 2018, her net worth is estimated at around $700 million. She is establishing herself as one of the successful businesswomen. As a result, she was named among 12 powerful upcoming businesswomen in Asia.